Today is the first day of fall and this week the first of my snow-bird neighbors returned to the island for the winter. 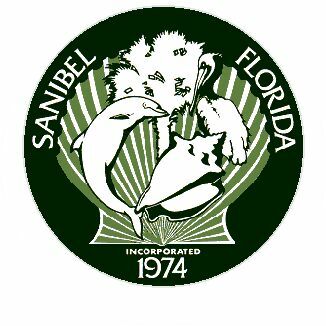 There will be more renewed interest in Sanibel and Captiva Islands as the weather up north begins to turn cool. Today Dave and I were at Loggerhead Cay condominium where I took some of the above photos. Looking toward the Fort Myers Beach skyline, you can see those afternoon popcorn clouds rolling in. I snapped another photo as we were heading back to the office, along East Gulf Dr where some local vegetation continues to bloom. The final pictures with the colorful umbrella are from one of our favorites listings on Lighthouse Way. It sold and closed this week and though we are very thankful for the sale, we sure are going to miss that house. It is truly a special one. One of these photos is featured in Jim Anderson & Jim George’s book “Sanibel & Captiva – Our Islands In The Sun“. which as been out less than a year and already is an island top seller. City salaries will remain flat for the 4th consecutive year. Full-time employees have been reduced through attrition from 142 in FY 2007 to 114 in FY 2012. Pay-down of the City’s pension plan unfunded actuarial accrued liability by $3M. With the exception of the sewer rate, which will increase 3%, all other city fees were held flat. $3.2M is allocated toward general government capital improvements, including $1.4M of capital projects rolled over from the prior years and $1.8M for new projects. The Lee County Port Authority announced that Scandinavian tour operator Comefly will bring back its nonstop weekly service from Aalborg (which is the 4th largest city in Denmark) and SW Florida International Airport on Dec 19. The flights will operate on Mondays from Dec 19 through Apr 9. For more info, go to http://comefly.dk. Shell Point Retirement Community, just off island, is converting the Country Inn & Suites hotel (which they own) on Summerlin Rd, at Shell Point’s entrance and just two miles from the Sanibel causeway, into a new assisted living facility called The Springs at Shell Point. The hotel which has been in operation since 2001, closed as a hotel last week and soon will begin a $2M renovation to convert the building in the nonprofit community’s third assisted living facility. It is estimated to open in Feb 2012 with 105 units, offering heated swimming pool, exercise facilities, transportation, dining, 24-hour healthcare staffing, and a professional activities director. Ron Phipps, National Association of Realtors® 2011 President, was quoted in the last REALTOR® magazine saying” I’m fighting for a healthy housing market for my grandchildren. That means creating a new secondary mortgage market that works with private lenders to serve all borrowers in all market conditions. It means preserving the mortgage interest deduction. And it means fighting a regulatory proposal that would require home buyers to put 20% down on a mortgage; it is not needed for sound underwriting and would disproportionately hurt first-time buyers and minorities.” The National Association’s elected leaders have testified before Congress and regulators and have mobilized members through the Realtor® Action Center. A recent call-to-action drew letters from 125,000 Realtors® asking U.S. House of Representatives members to cosponsor a House Resolution, affirming the value and importance of the mortgage interest deduction. On opposition to the 20% down payment proposal, more than 2/3 of the U.S. House and more than half the Senate have declared their support for the Association’s position. There was another call-to-action posted this week as the conforming loan limit on government-backed mortgages is set to expire Oct 1 because attempts to extend them have not gained traction in Congress. As the posting indicated “The math is simple: If Fannie Mae, Freddie Mac and FHA buy higher cost loans, more buyers will net a lower interest rate.” In 2008, Congress raised limits up to $729,750 in some areas to make larger mortgages available in high-priced housing markets. The limits will drop to $625,500 in the many areas, mostly affecting housing markets on West and East Coasts. The National Association of Home Builders has said it fears more than 17 million homes nationwide will become ineligible for more affordable federal funding if the loan limit expires. Federal Reserve Chairman Ben Bernanke has said he’s confident that the private market, including investors and insurers, would step up to fill the void by offering jumbo loans when the conforming loan limits expired – although likely at a higher cost to borrowers. An AP article on Tuesday reported that “builders broke ground on fewer homes in August, a reminder that the housing market remains depressed. The Commerce Department said Tuesday that builders began work on a seasonally adjusted 571,000 homes last month, a 5% decline from July. That’s less than half the 1.2M that economists say is consistent with healthy housing markets. Single-family homes, which represent roughly 2/3 of home construction, fell 1.4%. Apartment building plunged 12.4%. Building permits, a gauge of future construction, rose 3.2%. Hurricane Irene also slowed construction in the Northeast. Overall, homebuilding fell to its lowest levels in 50 years in 2009, when builders began work on just 554,000 homes. Last year was not much better. “While home construction represents a small portion of the housing market, it has an outsize impact on the economy. Each home that is built creates an average of three jobs for a year and about $90K in taxes, according to the National Association of Home Builders. After previous recessions, housing accounted for at least 15% of economic growth in the United States. Since the recession officially ended in June 2009, it has contributed just 4%. Cash-strapped builders are struggling to compete with deeply discounted foreclosures and short sales, when lenders allow borrowers to sell homes for less than what is owed on their mortgages. And few homes are selling. New-home sales fell in July to a seasonally adjusted annual rate of 298,000, the weakest pace in five months. This year is shaping up to be the worst for sales on records dating back a half-century. “Renting has become a preferred option for many Americans who lost their jobs during the recession and were forced to leave their homes. Still, the surge in apartments has not been enough to offset the loss of single-family homebuilding. Another reason sales have fallen is that previously occupied homes are a better deal than new homes. The median price of a new home is nearly 28% higher than the median price for a resale. That’s almost twice the markup in a healthy housing market. 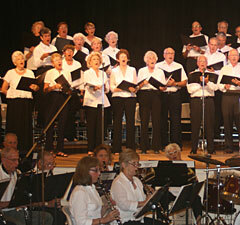 When I went to BIG ARTS this week to sign up for community chorus, it reminded me that often island visitors, and sometimes even residents, are not aware that in addition to their many musical performances, special events, movies, and exhibits, BIG ARTS also offers a wonderful selection of classes and workshops. Here is a smattering of some that are available this winter: Painting & Drawing (from acrylics & oils, to watercolors, pastels, mixed media, decorative painting, Chinese painting, still life, with models, & more); Fine Crafts (including jewelry, metal-smithing, collages, papier-mache, basketry, printmaking, glass fusing, & more); Pottery (clay, sculpting, wheel throwing); Dance/Fitness (tap, jazz, hip hop, youth, Pilates); Discussion Groups; Language; Music (chorus, band, & lesson); Technology & Art (iPhone, iPad, iPod, iCloud, iPhoto, iTunes, Facebook & Social Media, Mac, photography, Photoshop, & more); Theater; Writing; and the Winter Academy, which is a variety of multi-week sessions on topics as varied as health care, music, story telling, creative thinking, psychology, and law. It is always good to sign up early. 1 new listing: Sandpiper Beach #105 2/2 $640K. 5 price changes: Captains Walk #F7 2/1.5 now $229K; Tennisplace #E33 2/1.5 now $278K; Sundial #F408 1/1 now $303K; Loggerhead Cay #232 2/2 now $585K; High Tide #B202 2/2 now $1,447,500M. 2 new listings: 1436 Sandpiper Cir 2/2 half-duplex $315K, 2560 Coconut Dr 4/3 $538K. 5 price changes: 1123 Sand Castle Rd 3/2 now $544.9K, 4215 Gulf Pines Dr 5/3.5 now $619K, 1449 Tahiti Dr 3/3 now $659K, 1339 Par View Dr 3/2 now $769K, 2294 Wulfert Dr 4/4 now $1.089M. 1 new sale: 4632 Rue Belle Mer 3/2 listed for $549.9K. 6 closed sales: 491 Rabbit Rd 2/2 $339K, 495 East Lake Rd 3/2 $342.5K, 1525 Wilton Ln 3/3 $482K, 3550 Bunny Ln 3/2 $485K, 697 Birdie View Pt 3/2 $555K, 536 Lighthouse Way 4/4.5 $2.15M (our listing). 5 price changes: 1657 Sabal Sands Rd now $299,999; 0 Gulf Pines Dr now $319K; 4309 Gulf Pines Dr now $319K; 2562 Coconut Dr now $449K; 6401 Pine Ave now $779K. 1 closed sale: 629 Lighthouse Way $550K. 1 price change: Tennis Villas #3120 1/1 now $229K. 1 new sale: 16891 Captiva Dr 3/2 listed for $1.295M. P.S. If you noticed that the blog this week is posted in a new theme, you are right. I’m still technically challenged by all of this; but the old dog is working on some new tricks, so stand by. As always, your comments are appreciated. This entry was posted in Captiva Island, Captiva real estate, Florida property, Florida real estate, Real estate, Sanibel real estate, SanibelSusan, SanibelSusan's Blog and tagged Assisted living, Bankrate, Captiva Island, Multiple Listing Service, National Association of Realtors, Sanibel, Sanibel Florida, Southwest Florida by SanibelSusan. Bookmark the permalink. I LOVE your blog.I look forward to it all week. And your photos are the best!!! Thanks, Sheila. It’s my therapy. I really enjoy doing it too. Great blog. First time here but I’ll definitely be back!